"Save $200" reflects the total savings received in promotional value when you purchase a Bowflex Max Trainer® M8 Performance Pack. Offers only valid within the 48 contiguous states of the continental U.S. We regret we cannot ship to P.O. Box or international destinations. Offers not available with any other offer and is subject to availability and may change at any time. Price is subject to change. Shipping discount applies to standard shipping option only. Offers are valid once to a customer and excludes previously placed orders. Offers are not valid at retail stores or outlets. Offers valid for a limited time only. 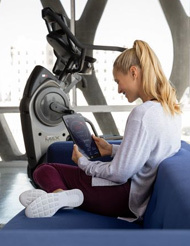 The new Bowflex® Max Trainer® machine combines a full-body, time-saving cardio experience with dynamic coaching technology that brings "Max" to life, tailoring each workout to your unique capabilities while helping you maximize your calorie-burn. 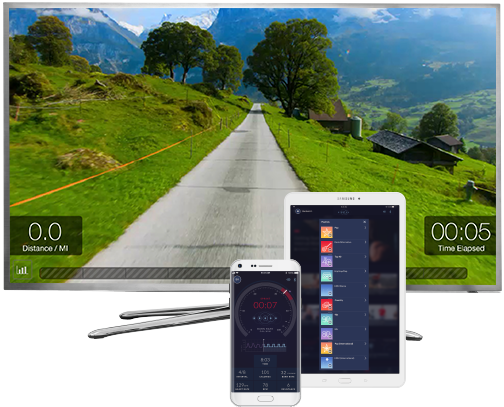 "Max" is a breakthrough fitness intelligence platform that personalizes your workout experience. Not sure where to begin? That's okay, because Max eliminates the guesswork and knows what it takes to see success. From beginners to athletes, Max learns your unique capabilities and adapts with a personalized fitness experience that includes dynamic coaching*, trainer-led videos*, fitness tracking, rewards, and more. * Max Intelligence™ subscription required. Max meets you every day with personalized workouts based on your capabilities and prior workout history. Even if crunched for time, Max can adapt to make your workout count! Max offers a library of trainer-led videos and educational content recommended to you based on your workout history. No matter your fitness level, you'll get the most out of your workout thanks to Max's simple but effective assessment, designed to learn your unique capabilities. Celebrate milestones and achievements with in-depth analysis, tracking, and rewards. 18 months promotional financing. That's right, you can pay for your Max Trainer over 18 months on purchases with your Bowflex™ Credit Card! Request free info and discover which Bowflex Max Trainer is right for you. Max's unique motion was designed to provide an effective, full-body cardio workout in a short amount of time. Smarter, personalized interval training makes even the shortest workouts count. 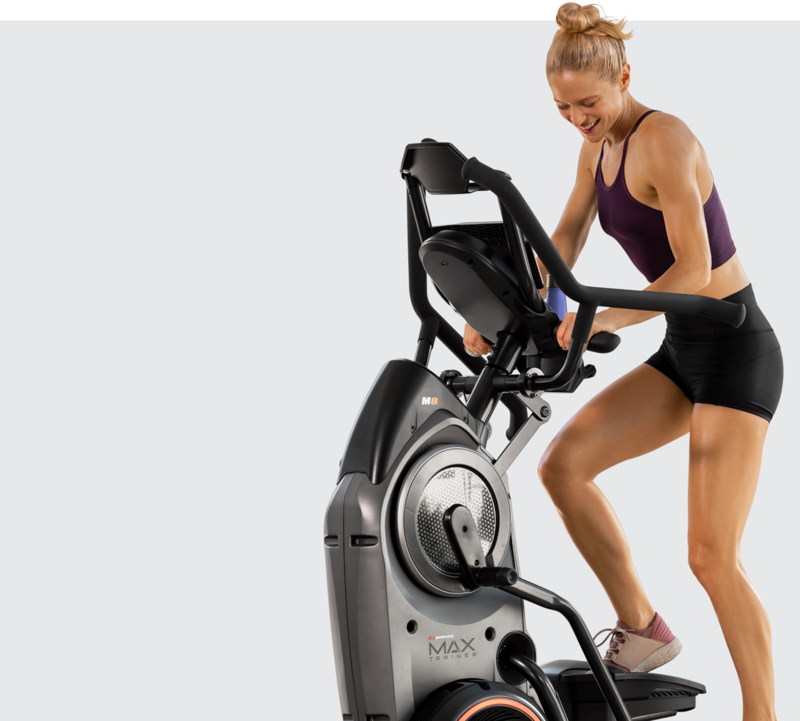 Max combines the full-body, low-impact motion of an elliptical with the calorie-burning power of a stepper. Max helps you become stronger, fitter, and healthier without the jarring impact. The Max Intelligence™ App takes personalized fitness to a whole new level. From trainer-led videos to Max's customized workouts*, nearly every aspect of your experience can be tailored to find the right fit for you. With built-in programs, the advanced M6 and M8 models also offer a full suite of features including access to the Max Intelligence™ App. You're sure to find a Max Trainer machine that meets your budget and your needs. 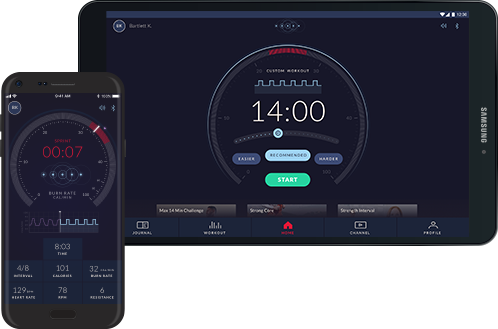 The Bowflex Max Trainer offers an incredible workout on its own, but combined with a monthly or annual subscription to the Max Intelligence™ App, compatible with Android and iOS devices, you'll unlock new features, motivating content, and more!